Hillside Writing provides inspiring, instructive coaching through the experience and enthusiasm of writers and mentors who are experts in establishing the creative environment. Our distinctive approaches have developed from decades of practice helping students and writers to shape the products of their imaginations into effective and compelling sentences and stories on the page. Allan is the Founder and President of Hillside Writing. He began his literary career at twenty-three, apprenticing under novelist John Irving, whom he assisted through several sentence-by-sentence revisions of a 1,000-page manuscript. The encounters with the writer's practice — specifically with the precise acts and art of revision — led Allan to editorial posts at The Atlantic and DoubleTake magazines and into the sentence-making of a wide range of professional fiction and nonfiction writers. Finding a special satisfaction in encouraging the creative process, Allan subsequently turned to the classroom to teach while earning a master's degree at the renowned Bread Loaf School of English. For fourteen years he taught and mentored young writers at Walnut Hill School for the Arts, in Natick, Massachusetts, where he founded an international magazine for high school poets, story-writers, essayists, and playwrights. Among other honors, his own writing has earned two consecutive Artist Grants in Fiction from the Massachusetts Cultural Council, a fellowship from the Vermont Studio Center, and a Promise Award from the Sustainable Arts Foundation. In addition to running Hillside, he has taught online writing classes for the Virginia G. Piper Center for Creative Writing, at Arizona State University. Allan brings an editor's precision, an educator's patience, and a mentor's dedication to every working relationship at Hillside. A selection of his writings on craft can be found on the Hillside blog, Sentence x Sentence. 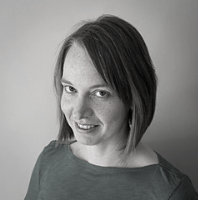 Kate is an award-winning fiction writer as well as an essayist, editor, and teacher. She received a bachelor’s degree from The Writing Seminars at Johns Hopkins University and an MFA in Creative Writing from the University of Arizona, where she was an editor at the Sonora Review and taught composition and fiction writing to undergraduates. Back home in Massachusetts, she further honed her editorial skills at the New England Journal of Medicine, where she helped to launch a feature devoted to personal essays and reported stories. Now, in addition to working as a freelance editor, she is a contributor of personal essays and close-readings to the blog of the acclaimed literary journal Ploughshares. Kate is also at work on a novel about musicians, and she collaborates with her husband to write and record songs that build the world of the story. In 2014 she received a Sustainable Arts Foundation award for her novel-in-progress, and in the same year she was named an Artist Fellow by the Massachusetts Cultural Council for her novella, Holy Family, which was published as a Kindle Single. She has been a fellow at I-Park Artists’ Enclave, and her short stories have appeared in The Baltimore Review, Word Riot, Harpur Palate, Night Train, and Day One. Kate delights in the connections and discoveries students and others make when they engage with experiences and ideas that matter to them. She brings her compassion, curiosity, and cold hard editorial experience to the effort. More of Kate’s writing can be found at kateleary.net. :: Read Kate's reflections on the magic guidance of the "illuminating incident," both in her own fiction writing and in her coaching of college applicants. Cara is a writer, a filmmaker, and a teacher. She began her career as a print journalist, working for several publications including The Boston Globe, The Atlantic Online, The American Prospect, and Harvard Magazine. She discovered that she didn’t love chasing breaking news but she did love exploring the longer stories — and particularly the people — behind the headlines. Her curiosity about people’s lives eventually led her to the world of documentary film and television. Her independent documentary Working Blind, which explored the predicaments and sensibilities of three newly blind woodworkers, won Best Documentary Short Film at the Somewhat North of Boston Film Festival, and screened at The Boston International Film Festival and the DIY Film Festival in Los Angeles. For the past eight years, she has helped to develop and produce shows for NOVA on PBS and documentaries for the Discovery Channel, the Travel Channel, and DreamWorks Animation. Throughout her career, Cara has taught fiction and non-fiction writing classes, helping students to find their own stories and discover engaging and meaningful ways to tell them. As excited as she is when she finishes one of her stories, she is equally excited by the process of helping others to write — and to finish — stories of their own. A selection of Cara’s projects can be found at CaraFeinberg.com. Valerie is a teacher, an editor, a critic, and a widely acclaimed poet. She began her life in letters as an intern at AGNI Magazine, where she eventually rose to the role of managing editor. She has since taught writing at Grub Street Writers, Boston College, Boston University, and Newbury College, and she spent several summers as a coach in the Writers in Residence program for high school students at The Wang Center for the Performing Arts. For many years the leader of a practicum on editing at Harvard Extension School, Valerie is presently the poetry editor at Salamander Magazine as well as copyeditor at Post Road Magazine, and she supports the development of texts on reading and writing at MacMillan. A graduate of St. John’s College, she holds master’s degrees in Creative Writing from Boston University and Trinity College, Dublin. Her book reviews have appeared in The Boston Globe, The San Francisco Chronicle, Harvard Review, and elsewhere, and her collection of poems, To the New World (2010), was shortlisted for the Seamus Heaney Poetry Centre Prize in 2011. Other writing honors include fellowships from the Virginia Center for the Creative Arts and the Writers’ Room of Boston and grants from the Massachusetts Cultural Council and St. Botolph Foundation. At Hillside, Valerie continues her investment in helping writers to discover the emotional centers of their experiences and how to shape and share their stories on the page. Read more about Valerie at valerieduff.com. 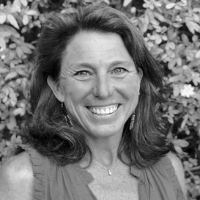 :: Read about Valerie’s invaluable mantra for herself and for her students. Eliza is a fiction-writer, a former teacher, and a mother of three, ages 8, 10, and 14 — all budding writers. She began her teaching career as an intern at the Shady Hill School, in Cambridge, Massachusetts, before heading west for San Francisco, where she taught elementary and middle school grades. The inspiration she found in her subsequent graduate work in literature and writing at Middlebury’s Bread Loaf School of English compelled her to pursue her writing full-time. She went on to attend the Iowa Writers’ Workshop, where, while studying with Marilynne Robinson, she taught creative writing to undergraduates and became especially practiced at taming their inner critics in order to inspire their creative progress. After returning to San Francisco, she continued her teaching, leading writing workshops for adults through U.C. Berkeley Extension and tutoring students in grades 4 through 12. But her favorite teaching moments came from mentoring students in the California College of the Arts MFA program. “I loved the conversations when a student was realizing something personal. I liked holding the mirror up so that she was able to see more clearly both what she had created on the page and what she was discovering about herself.” From her home base in California, Eliza is delighted to continue her mentoring work at Hillside, to which she brings her warmth, her curiosity, her literary talents, and her mirror. Sebastian is a writer of essays and nonfiction and a professor in the English Department at Northeastern University, where he also directs the Writing Minor. Before shifting to academia, he spent several years working as a reporter at newspapers in Delaware, New Hampshire, and Massachusetts. What he loved most about newspapering was the chance to find and tell the quirky, colorful, offbeat stories, with subjects that ranged from Renaissance fencing to dodgeball to pro-wrestling fantasy camp. Since then, Sebastian has written for The New York Times Book Review, The Wall Street Journal, and The Boston Globe, as well as many other outlets. His pieces have twice been listed as notable selections in the Best American Essays collections. Sebastian holds a bachelor’s degree from Harvard University and an MFA in Creative Nonfiction from Emerson College. As a teacher, he has worked with scores of freshman on hundreds of writing projects. “I love their enthusiasm,” he says. “In my classes, I’m intent on finding the story the writer wants to tell. What’s she passionate about? What’s the thing that keeps popping up in his mind? Helping the student to shape that specific interest into writing that he or she can be proud of, and that will resonate with readers, is a personally gratifying project.” Sebastian brings this deep experience to his Hillside teaching, inspiring students who are seeking soon to be college freshman.